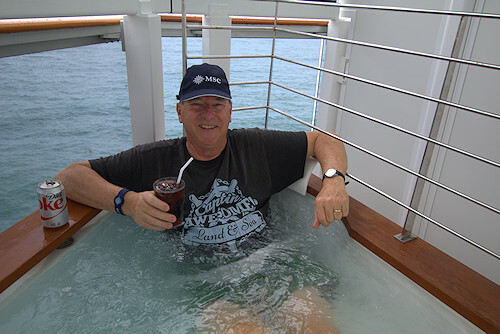 It's been my pleasure to have been on 47 cruises for a total of 332 days at sea! 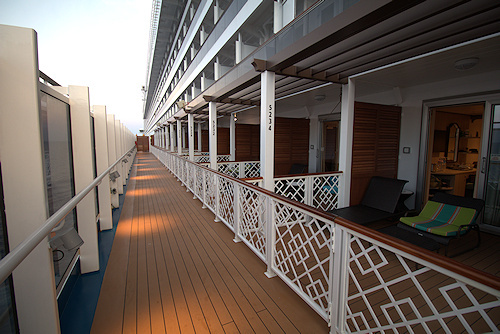 We sailed on the new largest cruise ship in the world, along with 6,700 other passengers. It was crowded. Our second time on one of the largest cruise ships in the world, but one of the worst cruises we've taken! 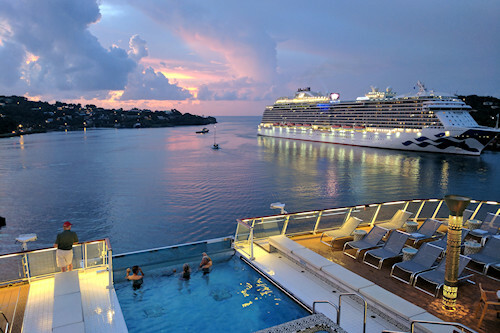 A very different kind of Caribbean cruise on this brand new cruise line... and we loved it! 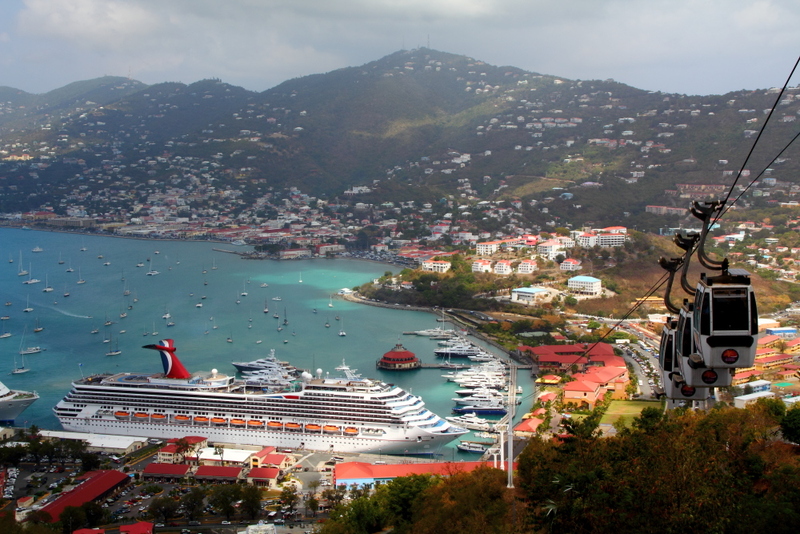 A 7-day Caribbean cruise that was all about a one-of-a-kind water slide. A 12-day Caribbean cruise sailing out of Bayonne, New Jersey. A luxurious week in a Haven Spa Suite. 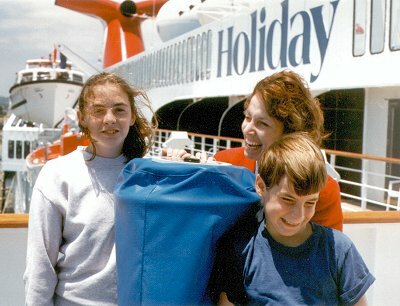 A 7-day cruise that included one of the best days of my life!. 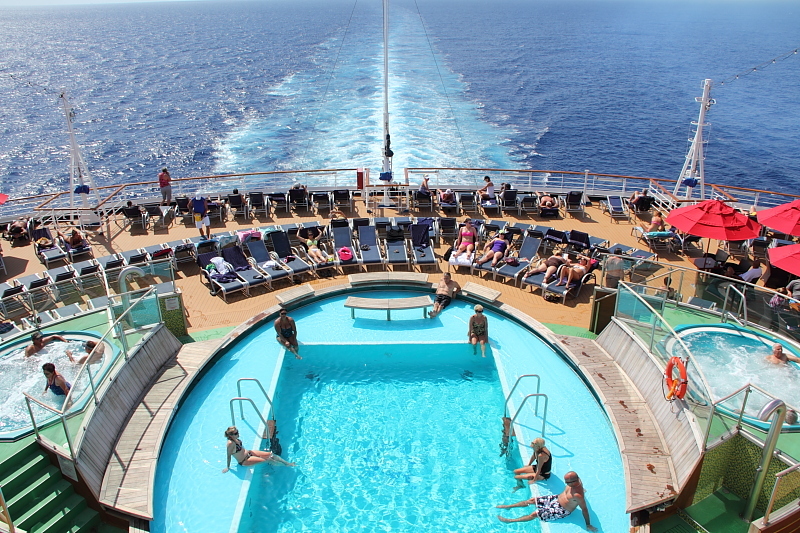 Perfect weather for a 14-day cruise at the peak of hurricane season. 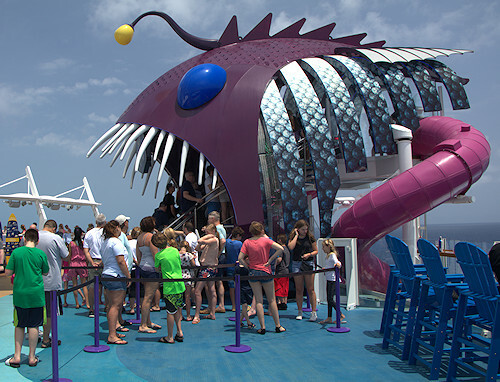 A cruise that surprised us by being way better than expected!. as they repositioned the ship from Ft Lauderdale to Galveston. and our first time cruising out of Fort Lauderdale. We learned that the largest cruise ship in the world has a lot going for it! 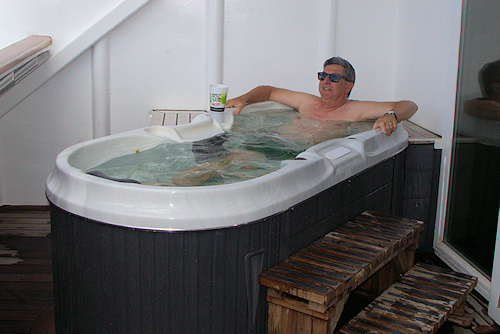 and definitely the most luxurious of all the cruises we've been on. 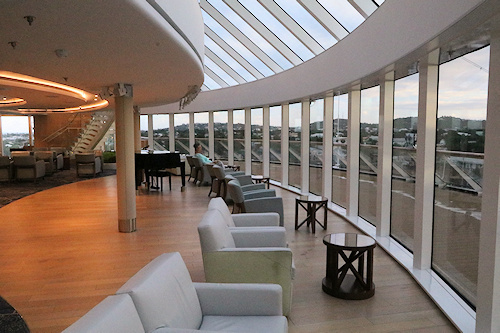 We stayed in an amazing VIP area of the ship known as "The Haven". and my first time cruising with all my siblings. Stunning scenery, with one photo-op after another. There's a separate page just about the land portion of the tour. but also featuring the most annoying Cruise Director! The best cabin we've ever been in! Also, the best Cruise Director: Jaime Deitsch. Unfortunately, not one of the best cruises we've been on, overall. Our first time cruising out of New Orleans. 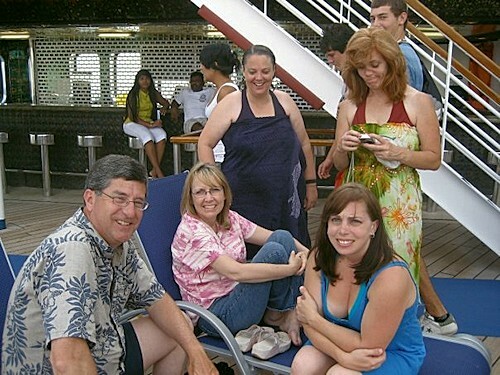 and one of the best cruises we've ever been on! Also, my introduction to those extremely delicious Guy Fieri burgers. One of the oldest ships in the fleet, but still full of fun. 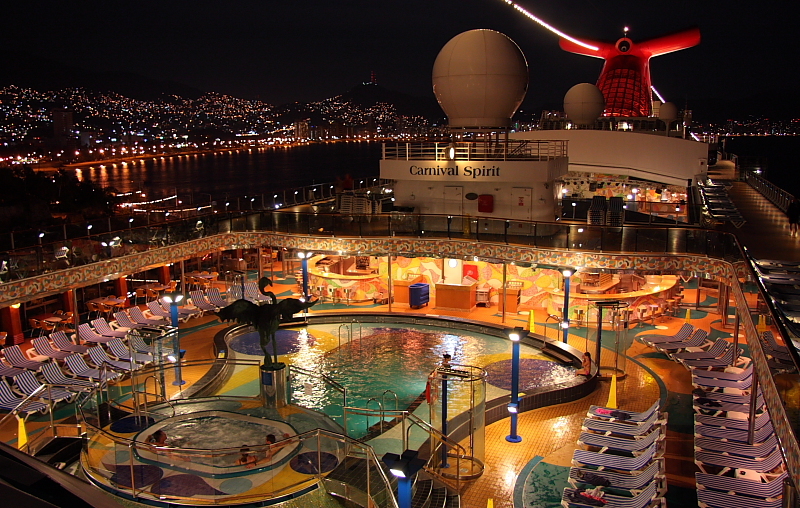 Our first introduction to Carnival's Dream-class ships. It was a great cruise, but I did not write a review. 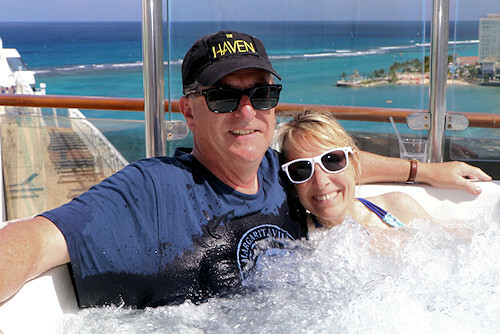 Our first Caribbean cruise and our first back-to-back! 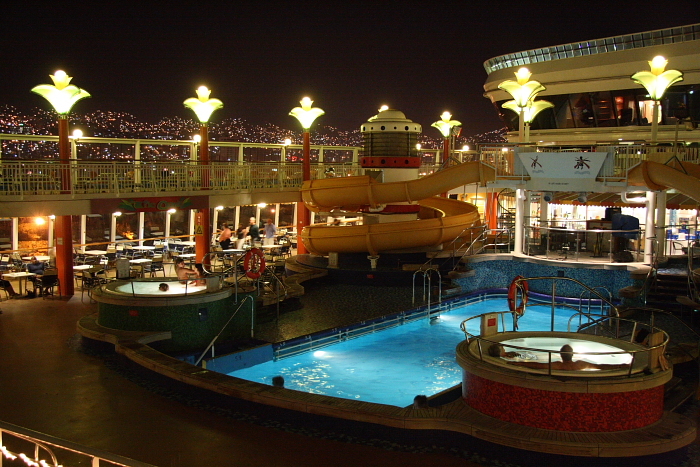 One of our favorite cruise destinations: Acapulco. The second of two group cruises we did with friends from our Cocker Spaniel forum. Kellyn and I renewed our wedding vows on this cruise. The first time we ever stayed in a suite! 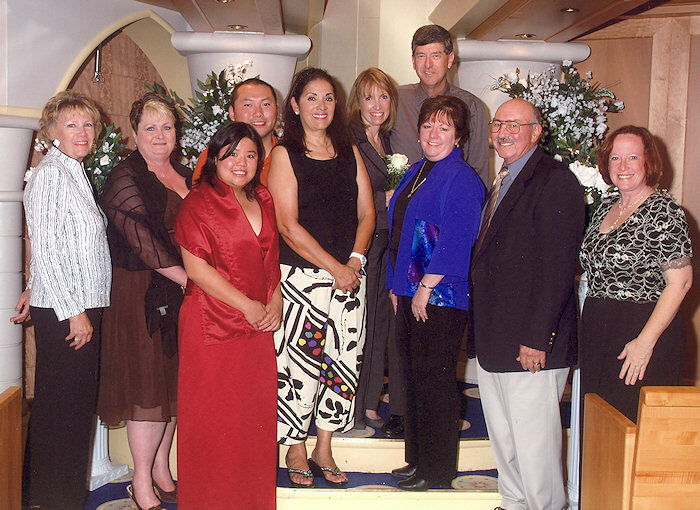 but in reality, the NCL experience was sub-par back in those days. 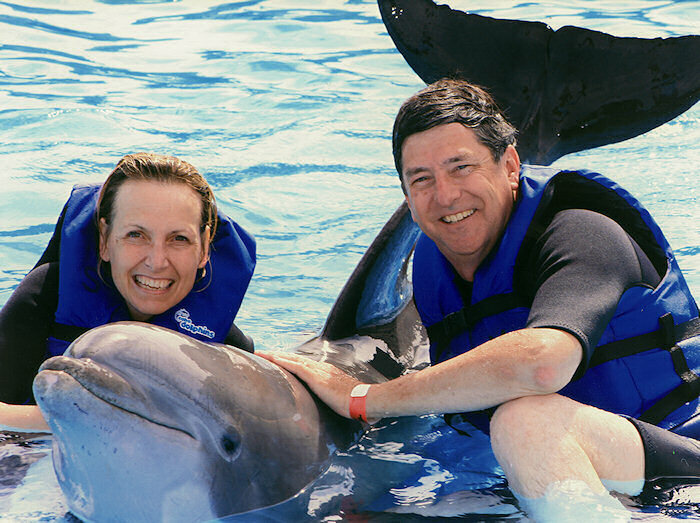 Our return to cruising, after a 12-year break! If you're interested in booking a cruise with any cruise line... please feel free to use the services of my travel agent, Caitlin Gallagher. She's extremely pleasant to deal with, easy to talk to since she lives in the United States and speaks without any kind of an accent, and quite experienced and knowledgeable about different types of cruising. 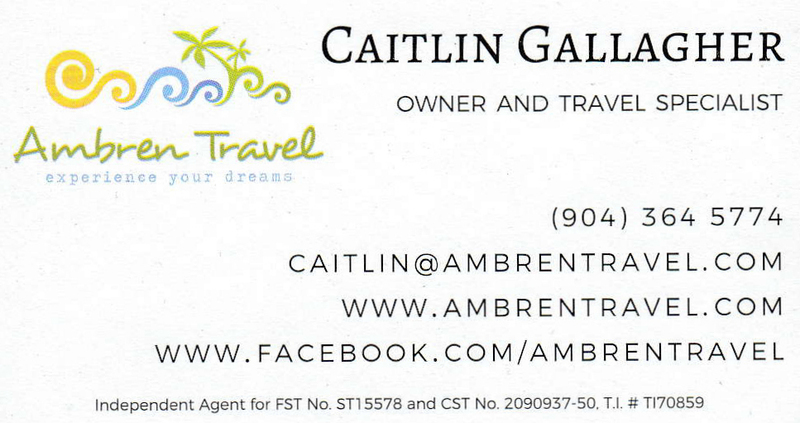 Caitlin is the owner of Ambren Travel. Visit her web site, or contact her using the information below. 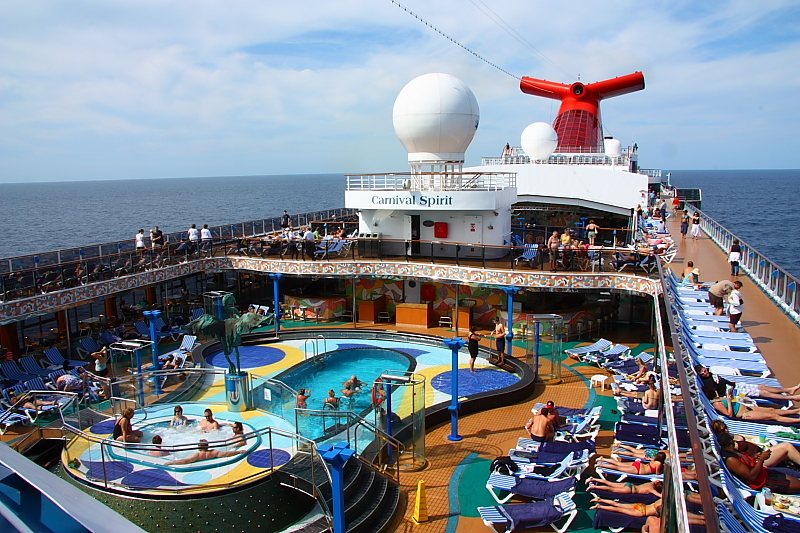 Our next cruise is scheduled for this summer, when we'll be cruising on the Carnival Horizon. 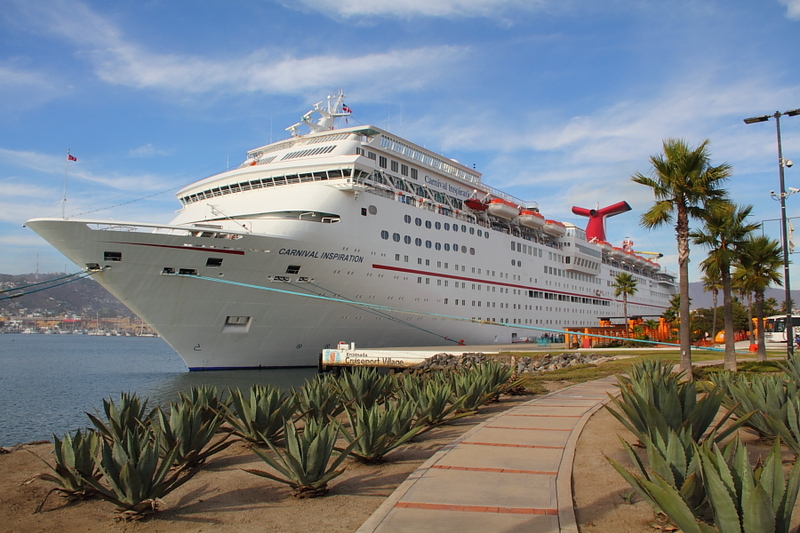 We really enjoyed our cruise in a Havana Suite on the Carnival Vista last year, so we decided to book a cruise in the Havana area of the Carnival Horizon. However, instead of booking a Havana Suite like we did last time, we're going to try a different type of Havana cabin this time around. The Havana suites are located right next to where the band plays until late at night in the Havana lounge... and that made it difficult to fall asleep. So, we'll be trying out what we think will be a much quieter room this time around. We're also booked on Carnival for January 2020... but this time we won't have to fly to get to the ship. 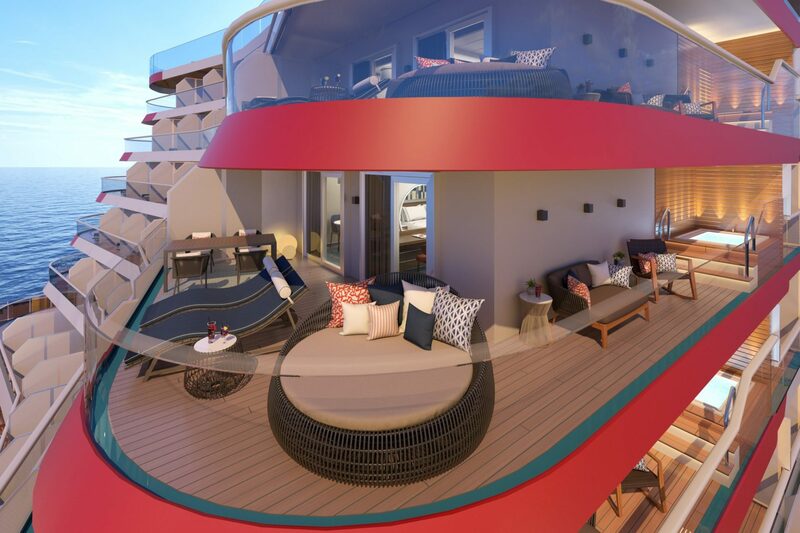 Carnival is bringing their newest, best ship to the west coast: The Carnival Panorama, a Vista-class ship. 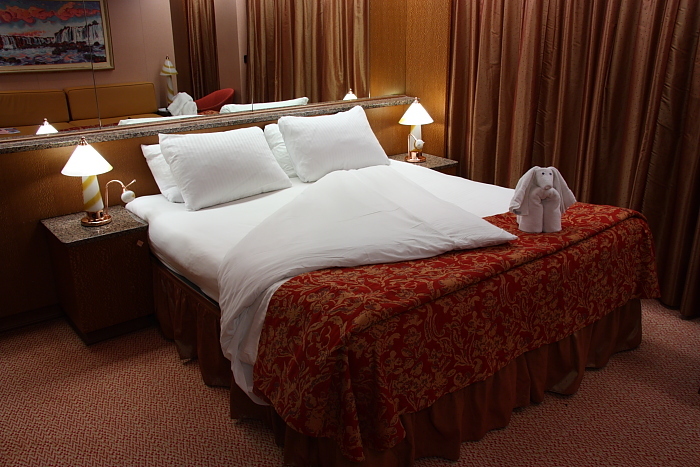 I immediately booked a Havana Suite on the Carnival Panorama on the very first day they started accepting bookings! 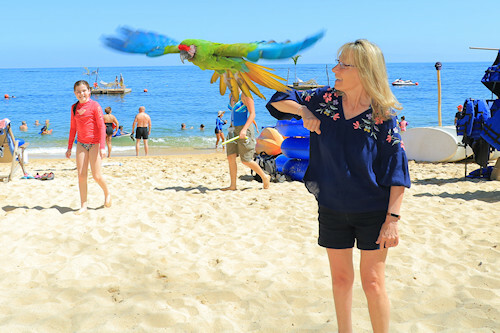 I'm excited to also let you know about an interesting vacation for July 2020 that we're currently planning, but don't have booked yet. This is going to be something very different for us... we're planning to lead a group cruise and landtour in Alaska and Canada, open to anyone that would like to join us. The preliminary plan looks something like this: We'll fly to Fairbanks, Alaska and start the adventure there. From Fairbanks, we'll travel through the interior of Alaska, mostly via the Alaska railroad, and staying overnight at several of the hotels operated by Princess cruise line. We'll visit Denali and Talkeetna and possibly more, as we take the train to the coast to meet up with our cruise ship. Anyone that only wants to join us for the cruise portion and not the inland train portion of the vacation is welcome to just fly in to Anchorage and meet us on the ship. The cruise portion of the vacation will be a 7-day cruise southbound from Whittier, Alaska to Vancouver on Princess Cruise Line. We don't know the exact itinerary yet, but we hope it will include Glacier Bay National Park, and a day in Skagway so that we can ride the White Pass & Yukon Route Railway. After the cruise, people are free to fly home from Vancouver... or stick with us and join us for one more leg of the adventure. In Vancouver, we're going to get aboard the Rocky Mountaineer for a railtour through Western Canada. Many more details to come! Join us for all three legs of the trip... the Alaska railtour, the Princess cruise, and the Canada railtour... or join us for only the parts that interest you. It will be totally up to you. Spend as little or as much time with the group as you want... and feel free to head off in your own direction and do your own thing at any point you'd like to. So, if you have any interest in a Alaska adventure with me and Kellyn, plus our travel agent, Caitlin, and her family... pencil in July 2020 on your calendar. I'll update this information with an exact date and more details as our plans become more clear. I should have those details for you by the end of May 2019.